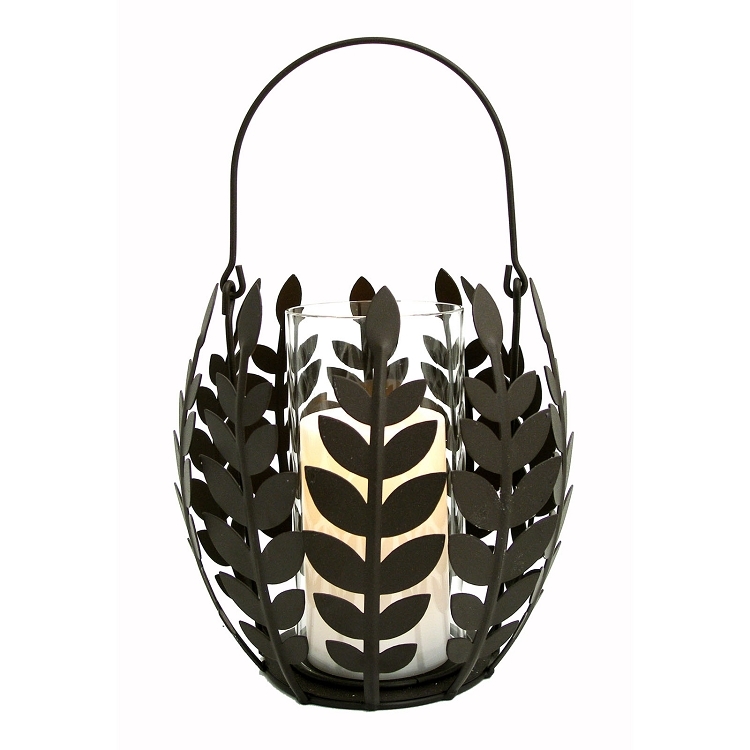 The Pacific Accents Wisteria Leaf Basket with flameless pillar candle is an autumn treat for any time of year. 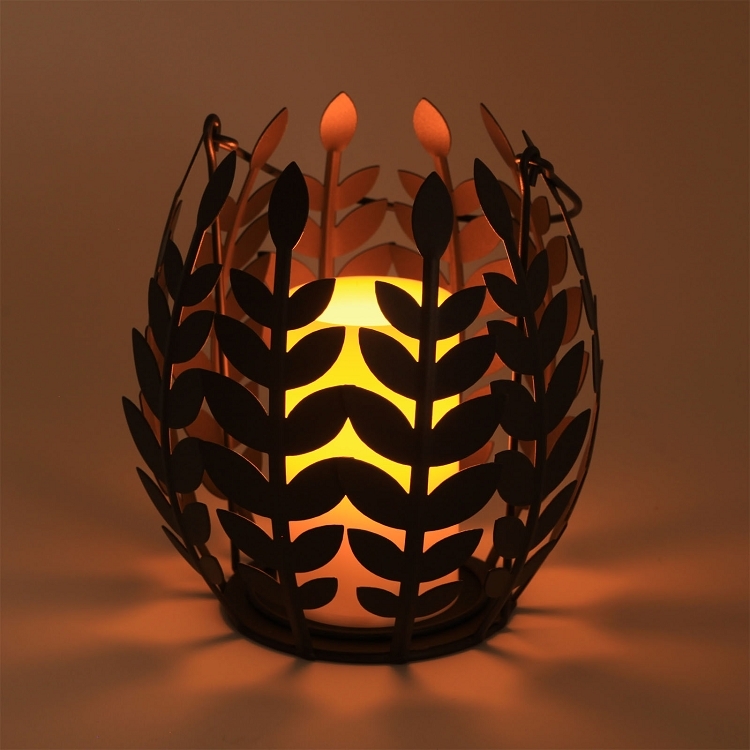 This decorative, fall-inspired piece is a family-friendly holiday, hostess, or housewarming gift or a perfect present for yourself! 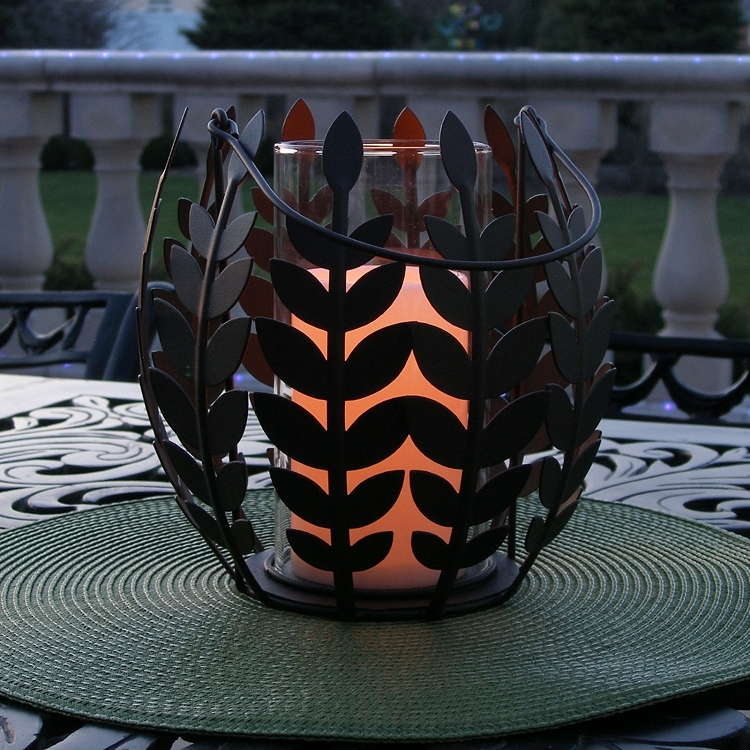 The leaf-design basket is handcrafted from forged iron and measures an approximate 8" x 8". Inside, a mouthblown glass hurricane is illuminated by a flameless, battery operated 3"x 5" resin pillar candle with a selectable 4 or 8 hour daily timer. Decorating with flameless battery powered candles means no smoke, no soot, no melted wax mess and no worries due to an open flame. 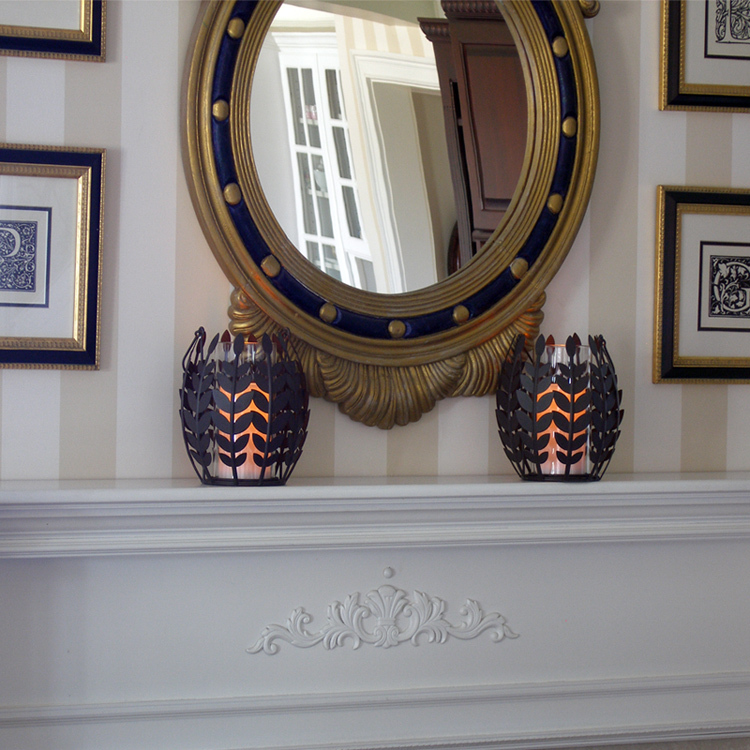 Decorate with safety, flexibility and elegance with the Pacific Accents Flameless Collection.